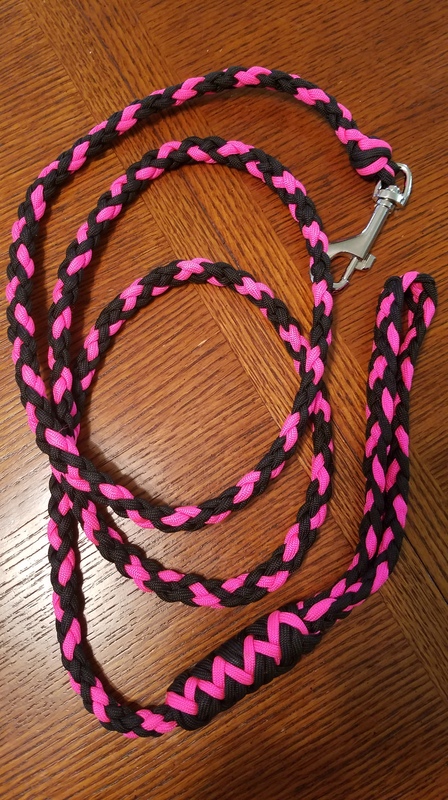 Did a couple of quick side projects this weekend, a leash for a friend and another get-back whip for a dude in Seattle. The leash is a 6 foot overall 6 strand round braid with a 6 strand flat braided handle, a long Turk’s head knot at the handle junction and a Matthew Walker knot at the snap. 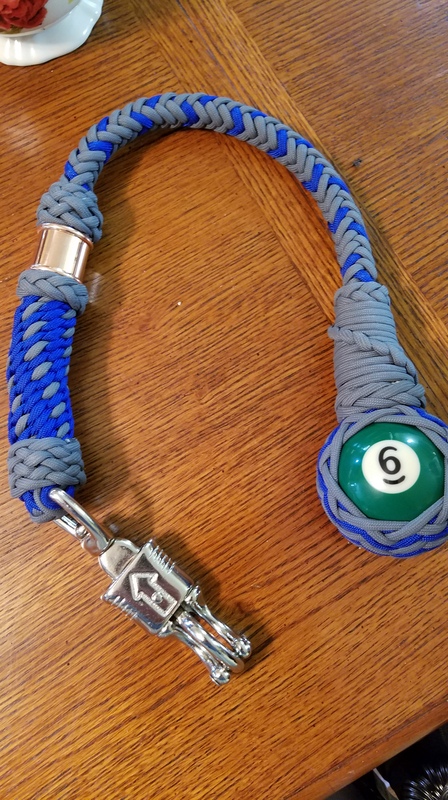 The GBW is 24 inches overall with a 6 ball wrapped in a pineapple knot leading into a 4 strand round braid that attaches the ball to the panic snap and acts as a core for the 8 strand herringbone plait that leads back down to the ball and terminates in a French spiral decorated with Spanish ring knots. the handle is a six strand round sennit with a 7×6 Turk’s head heel knot and a copper collar held in place by another THK and a Spanish ring knot.